My mom has 1 of these and I just loved it as I despise bugs in the house. So glad I now have 1 of my own! I even bought 1 for our condo up north. We can't live without this in our house! We got an infestation of stink bugs in our house last year and this was great for picking them up and getting rid of them. Also the occasional spider. Works Great! We live in the ‘woods’ and bugs are no stranger to us now. For some reason my husband has gone on a no-kill kick, not wanting to take the life of even a spider. We’ve been getting a ton of wasps (must have a nest somewhere inside?!). This critter catcher works like a charm every time!! He loves it! He walks them out our patio door and sets them free!! Although the same darn wasp is probably just flying back in, the first chance he gets!! 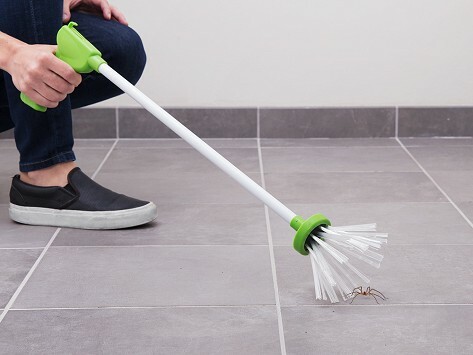 If bugs are an issue in your house - do yourself a favor and order one of these! Bought it for my bug-a-phobe son. He loves it. This humane way to catch insects is very easy to use. 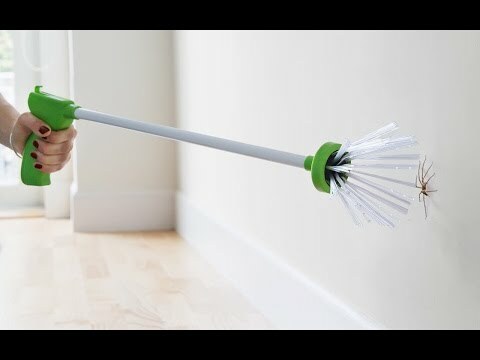 The length of the critter catcher handle allows you to stay away from the insect (or allows to reach to a ceiling). The insects are not harmed inside the device and can be set free outside. I have two, so one is always near! I got two pink and one green, one for my husband and one for each of my granddaughters. My 7-1/2 year old granddaughters just loved it. My husband didn't try it out so I don't know how he felt about it, however the granddaughters really enjoyed the plastic spider that came with it and picking it up a lot. We will have to wait and see how well it works on real insects and also how long it lasts. We have quite a few spiders living peacefully in our home dining on other insects we don't need to do anything about i.e. use harmful insecticide. For the youngsters this is a wonderful teaching tool, educating and instilling a love and respect for even the lowest on the totem pole.For our college aged niece and her friend, staying with us, it was both initially a terrifying and eventual entertaining game of catch and release (they even had to come downstairs to release...such good sports). This is easy to use and for the spiders I don't pick up by hand (daddy long legs, these I pick up by hand) I use this. Great, great device!! I live in Florida - land of the palmetto bugs. I don't like to pick them up when they are still somewhat alive and I don't like to kill them. I have a dog so can't use bug spray. This item is wonderful. I can dispose of the bugs immediately w/o a problem!